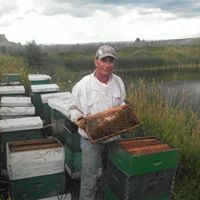 Welcome to Pour Boy's Honey, your source in the northeast Lower Peninsula for pure, raw, all natural, local honey. Specialty products include seven different flavored honeys, 2 kinds of BBQ sauce, Strawberry, Raspberry and Saskatoon honey jam, creamed honeys and pumpkin honey butter. Check out our website below for a list of where to buy our products!